This homogeneous biochemical assay quantifies total cellular adenosine-5′-triphosphate (ATP) as an indicator of cellular viability. 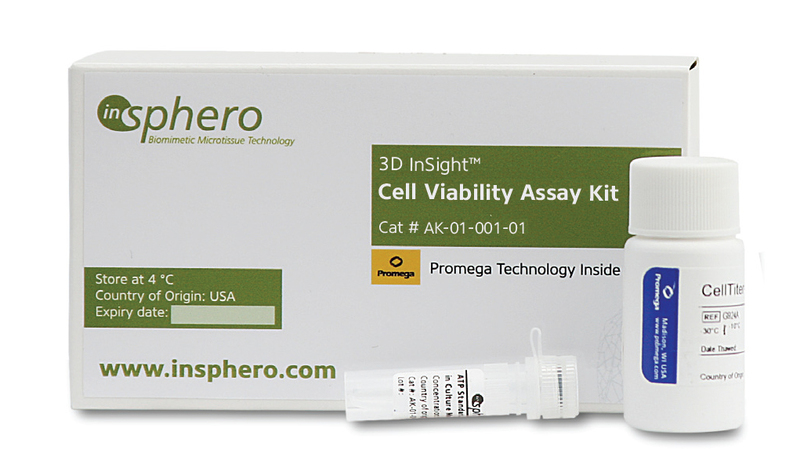 The assay kit incorporates proprietary luminescent technology from Promega, and is certified for use with InSphero 3D InSight™ microtissues and media. 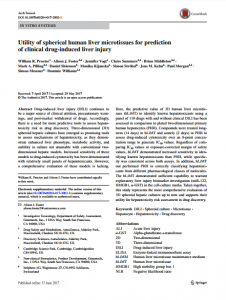 The assay is designed for use with multi-well formats and is ideal for automated high-throughput screening for changes in cellular viability and proliferation during drug efficacy and safety testing. 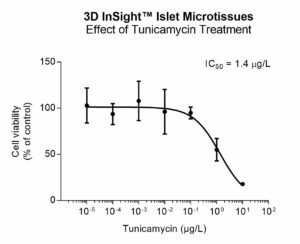 The advanced lytic and sensitive detection capacity of the assay reagent provides an ideal solution for 3D microtissues ensuring robust, reproducible results. 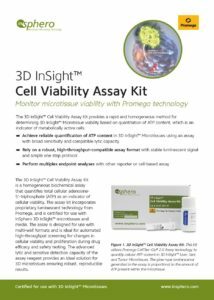 3D InSight™ Cell Viability Assay Kit. 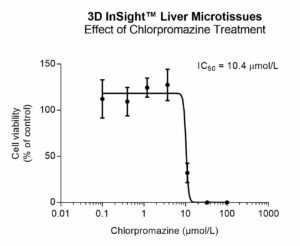 This Kit utilizes Promega CellTiter-Glo® 2.0 Assay technology to quantify cellular ATP content in 3D InSight™ Liver, Islet, and Tumor Microtissues. The glow-type luminescence generated in the assay is proportional to the amount of ATP present within the microtissue. 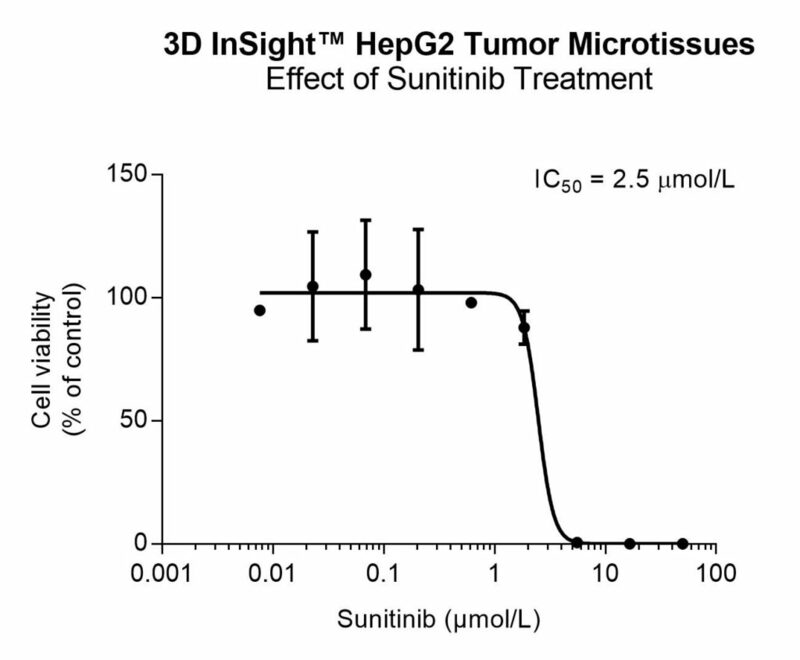 Note: Available only when purchased with 3D InSight™ Microtissues. 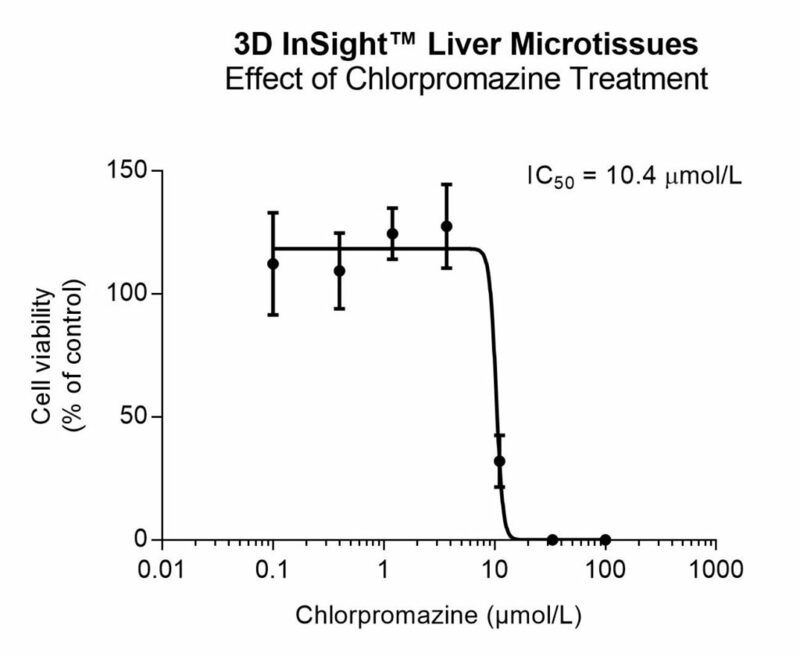 3D InSight™ Human Liver Microtissues (coculture model of primary hepatocytes, Kupffer cells and liver endothelial cells) were exposed to Chlorpormazine, a phenothiazine known to cause drug-induced liver injury, over 14 days, with dosings on day 0, 5 and 9. 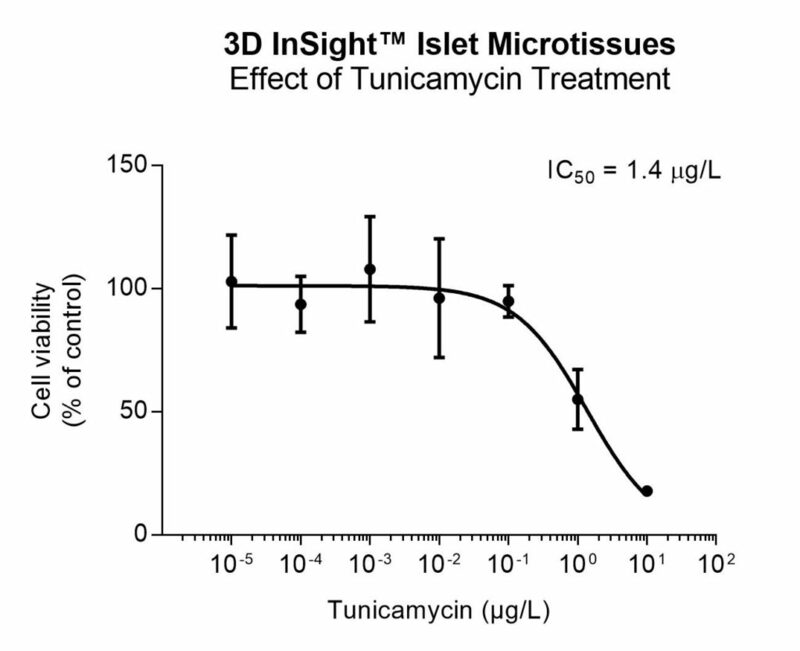 The dose-response curve at the end of treatment showed dramatic decrease in cell viability. (Mean of n=4 with SD). 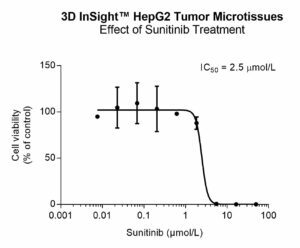 3D InSight™ HepG2 Tumor Microtissues were exposed to Sunitib, a small-molecule inhibitor of tyrosine kinase receptors, over 10 days, with multiple dosings. Cell viability dose-response curve at end of treatment showed a decline in tumor microtissue viability.